In The 1960s Heineken Experimented With Bottles That Doubled As? Which Moon Orbits Closest To Its Host Planet? In 1960 the owner of the Heineken beer company, Alfred Heineken, was vacationing in Curacao, a small Caribbean island nation. He was surprised to see how many bottles from his very company were littering the beach: it was nearly impossible to go more than a dozen feet without stumbling over his own brewery’s logo looking up at him. Although it was common practice throughout the 20th century to reclaim bottles, wash them, and reuse them for bottling, the island had no infrastructure for such reuse. This got Alfred thinking: the island had tons of bottles but a shortage of affordable building materials and housing. What if he combined their steady importation of bottled beer with their housing problem? 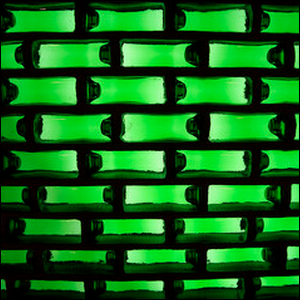 The solution seemed simple to him: create bottles with a brick shape so that once the beer was consumed, the empty bottle could be used to construct a simple wall. Although the Heineken bottle as building block idea was never formally implemented on the scale Alfred envisioned, his bottle bricks are regarded by most designers as the first example of a mass produced container designed from the outset to have a secondary function as a building component.